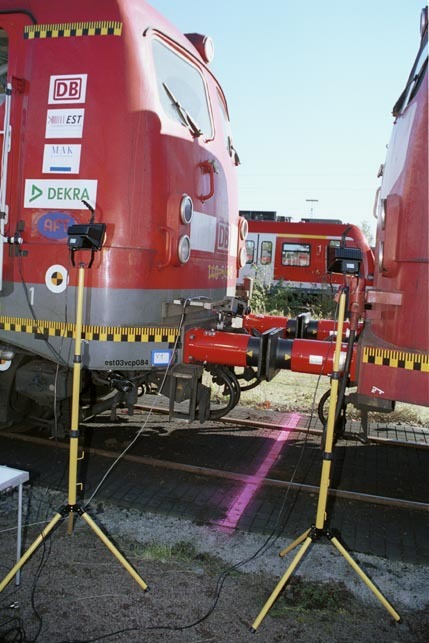 Images from the vehicle crash tests at the DB repair facility in Opladen, September and October 2003. 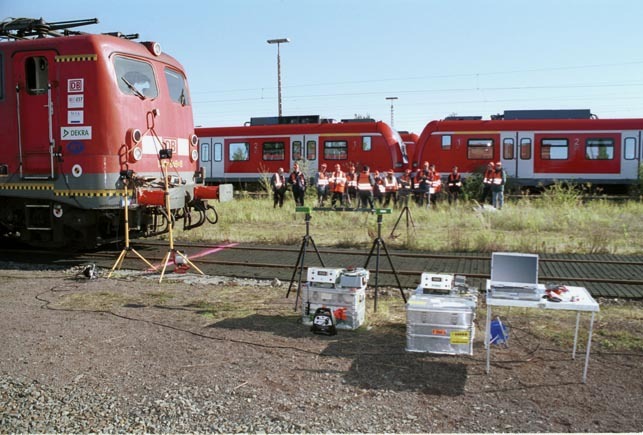 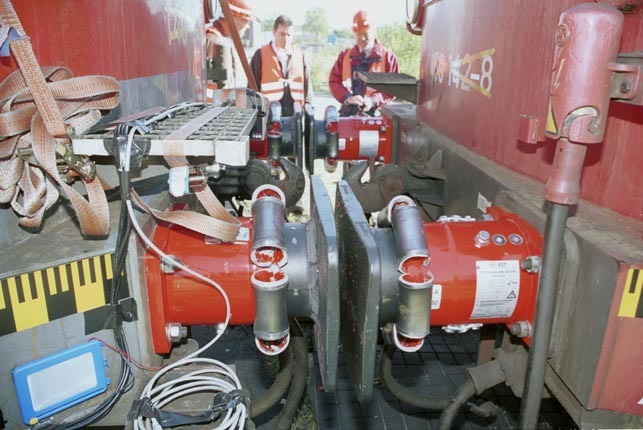 The tests were performed in cooperation with DB Cargo (Railion) and DB Systemtechnik. 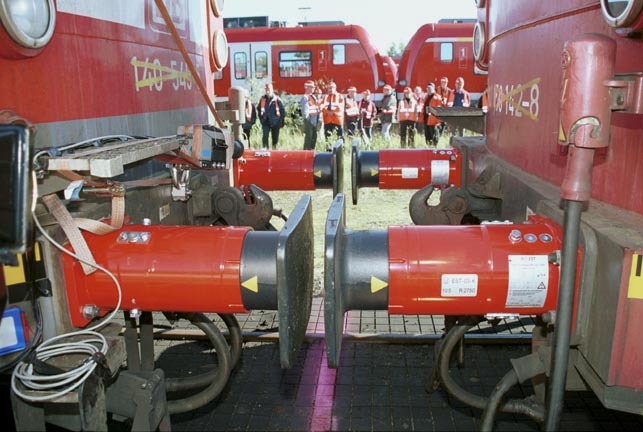 The test vehicles were DB Class 140 545-5 (83t, resting) and DB Class 150 142-8 (126t, impacting vehicle). 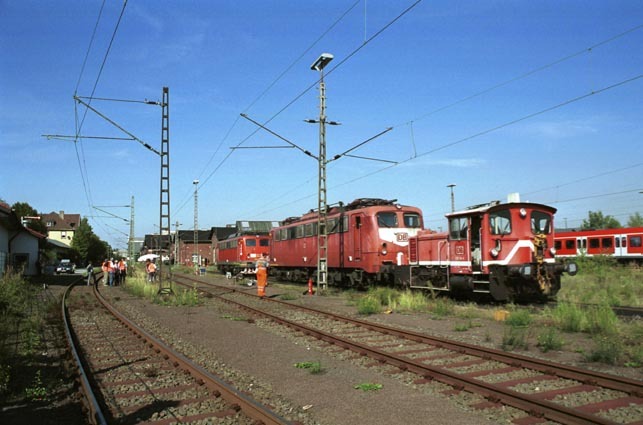 Stills from the high-speed video recording. 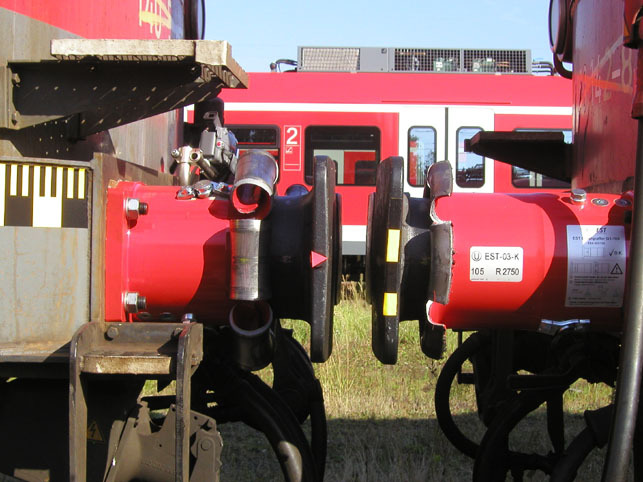 The numbers give the time in milliseconds.